This classic mid-20th century modern chair is a brilliant design. 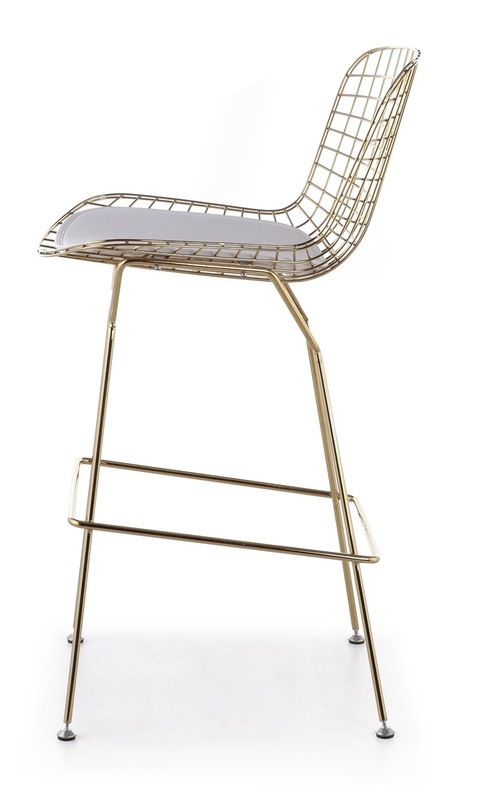 Our Bertoia bar stool in gold is a high quality reproduction of the original design by Harry Bertoia. Our Bertoia bar stool is exceptionally strong and surprisingly comfortable with its unique bent and welded steel rod construction. 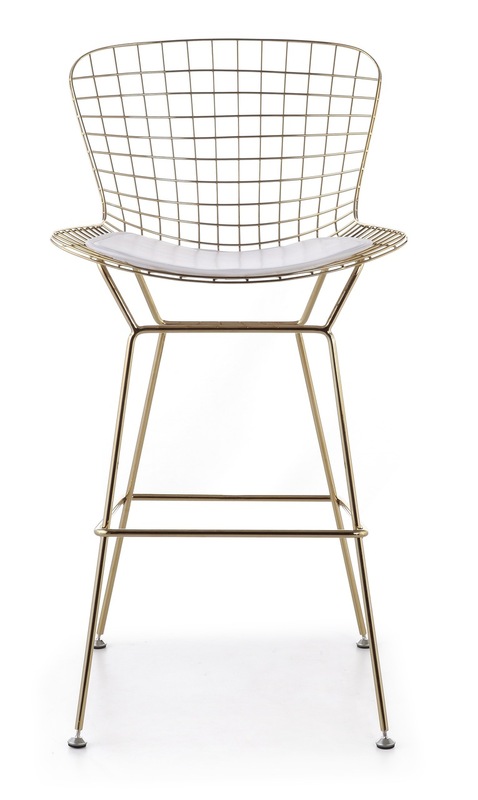 The Bertoia Bar stool features a solid steel frame and includes easy to clean seat pad. This reproduction is constructed with the highest quality materials and workmanship. 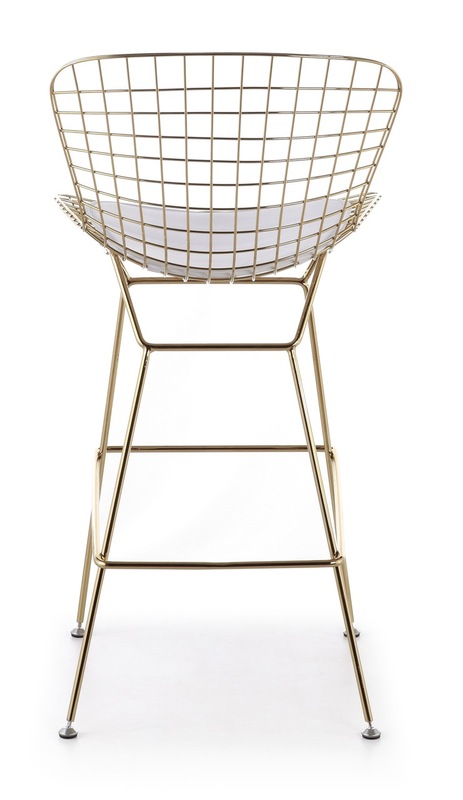 Bertoia Bar Stools in gold finish are in stock, and ships in 24 - 48 hours!